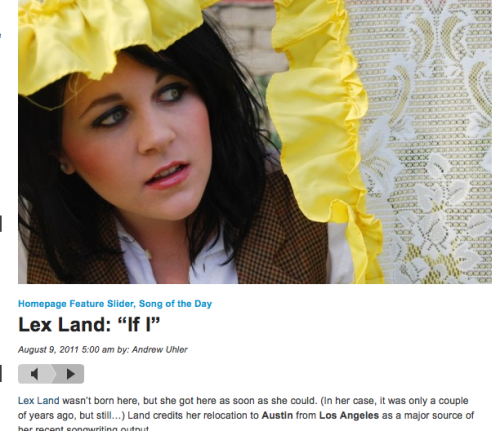 Lex Land » SONG OF THE DAY on KUT!!!! ME! Check it out! SONG OF THE DAY on KUT!!!! ME!